EDGEWATER resident Ivy Blundell celebrated her 100th birthday surrounded by members of her large extended family. 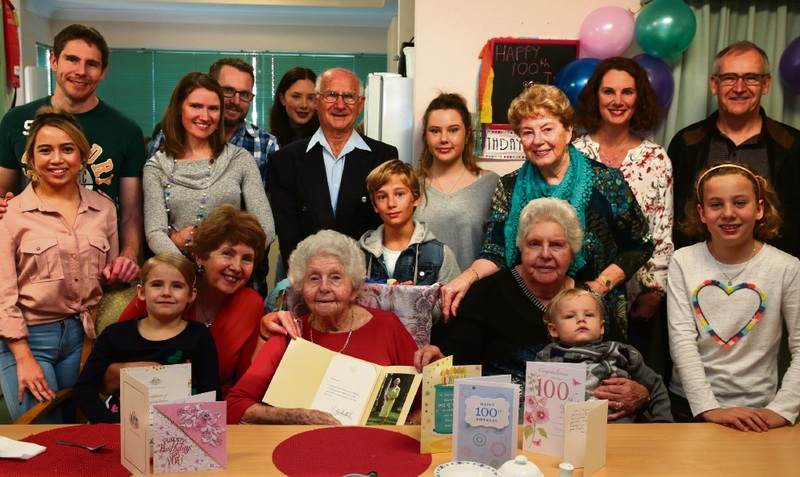 The centenarian enjoyed a celebratory morning tea on June 16 at her Mercy Place Edgewater home. Mrs Blundell was born and spent her life in WA, where she met her husband Albert in 1939 while working at Plaistowe confectionery factory in West Perth. Mr Blundell served in the army in Papua New Guinea before being discharged in 1946 and she spent time working in the kitchen at schools including Perth Ladies College and Scotch College. The couple were married for 64 years and had five children, with one son sadly dying at birth, and Mrs Blundell now has seven grandchildren and 16 great-grandchildren. Service manager Helen Fullarton said she was an inspiring woman who was dedicated to the community and her family. “We know that Ivy did a huge amount of voluntary work throughout her life via her church, including collecting unwanted clothes and washing and ironing them so that they were ready for distribution to the needy,” she said.